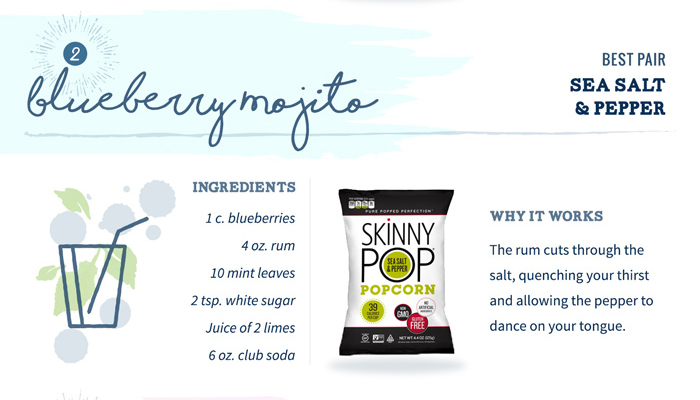 There's nothing like a cocktail on a sunny day. When the sun comes out, get me to a beer garden. There's just something about warm weather and drinking fancy cocktails, gives me holiday vibes. 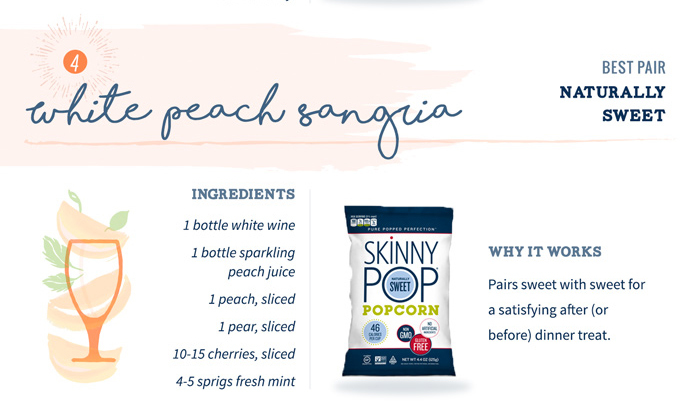 Why not pair your drink with some yummy snacks. This summer my favourite way to catch up with my friends was a over a cocktail. A summer picnic is still on my to do list though. Hopefully we'll get some more nice weather so I can still do that because what else is perfect for summer? Snacks. 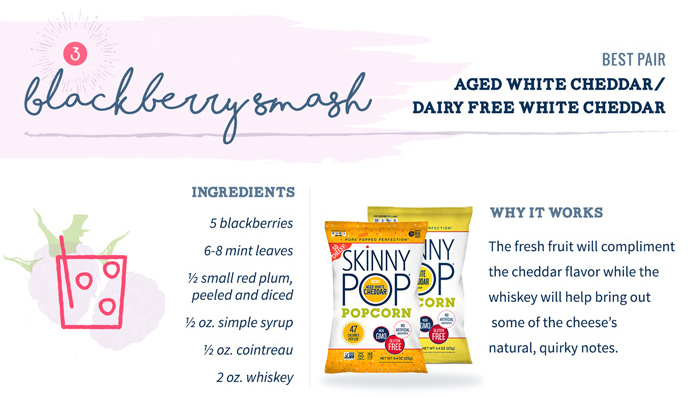 SkinnyPop have some lovely popcorn pairings for you to try with some popular cocktails. Some other snacks that I love are crisps, sea salt is my favourite flavour. I also love sweets! Sour Patch Kids are my favourite, I just love the balance of sweet and sour.